Internet is a basic requirement these days, just like a phone connection. Whether it’s running on your mobile phone or desktop, you want to stay connected 24/7 at the best speed. Moreover, there’s a pretty good cost attached to get the data at a certain speed. And so, when the speed slows down, that’s when the disappointment comes. While all internet service providers make tall claims of offering the fastest internet service than the other, these are actually far from true. When you start using the connection, that’s when you come to know the actual performance. The best thing to do at this point would be to test the internet speed to check what you are actually getting out of the claims. To check the upload and download speed in real, you need a reliable internet speed test analysis tool. Fortunately, there are a quite a few such useful online tools that does not just help you find out the real internet speed, but also helps detect any other problems related to the network. Here’s a checklist of some of the best internet speed test online tools for your review. If you are looking for a quick and easy internet speed test, Fast.com can be your best bet. It’s a free online tool powered by Netflix.com that mainly checks your ongoing download and upload speed. Not just that, it also offers the latency and loaded latency numbers on its clean and simple interface free of ads. The data gathered from the tool gives Netflix an in-depth look into the networks across the world. However, the primary aim is to equip internet users with a quick and effective look into their internet speeds. Speedtest.net is a well-known internet speed test analysis tool where anyone can test the actual speed of their data connection. It allows you to test your upload and download speed, and also the ping using plenty of servers across the world. Ookla Speed test is one of the most well-known internet speed test apps available in the recent times. It checks the download and upload speed along with the ping in just a few seconds. it’s one of the most accurate speed trackers around that also allows you to share your results. The company is also known to publish the monitoring results on the state of global markets and associated trends. The app is available to download on a wide range of platforms that include, iOS, Android, macOS, Windows, Google Chrome, and Apple TV. Moreover, it allows you to record the test results, analyse your data speed compared to other users across the world, be part of a Speed Wave. The Speed Wave feature allows you to compete and collect data from users of like mind. The people who be a part of the Speed Wave also earn special badges, at times. 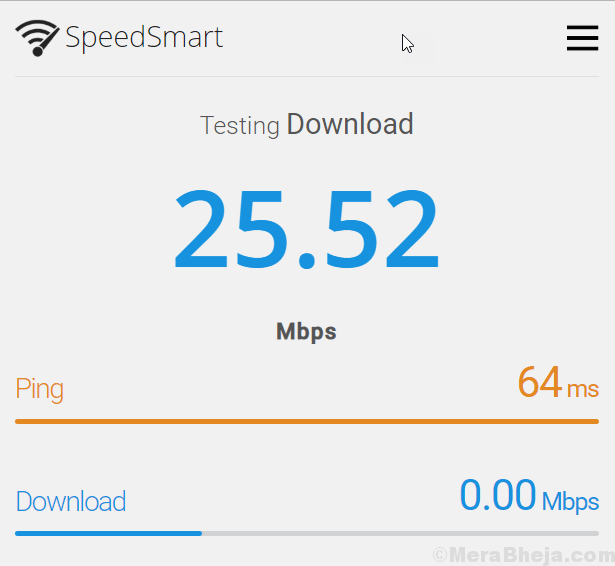 SpeedSmart is indeed a smart online tool that does not depend on Java or Flash, but comes in convenient HTML5 form that allows you to test your internet speed easily. It works precisely across a lot of devices using a web browser on desktops, or laptops to mobile phones and tablets. As you launch the site on your browser, it automatically detects your IP address. For a basic test, you can simply click on the button that appears on the screen and run a test. For more advanced options, you can sign up with them. This lightweight website offers superior level of accuracy in comparison. Moreover, it also works on palm devices like, mobile phones and tablets. Best of all, it features an interface with real-time bandwidth graph that shows the exact upload and download speeds in a user-friendly form. Speed Check & Wi-Fi Finder is a mobile phone application that is free to download and free to use. It comes with a responsive interface where all the results are displayed in an easy to understand format. You can simply click on the “start check” button and all the analytics are displayed on the interface in matter of seconds. 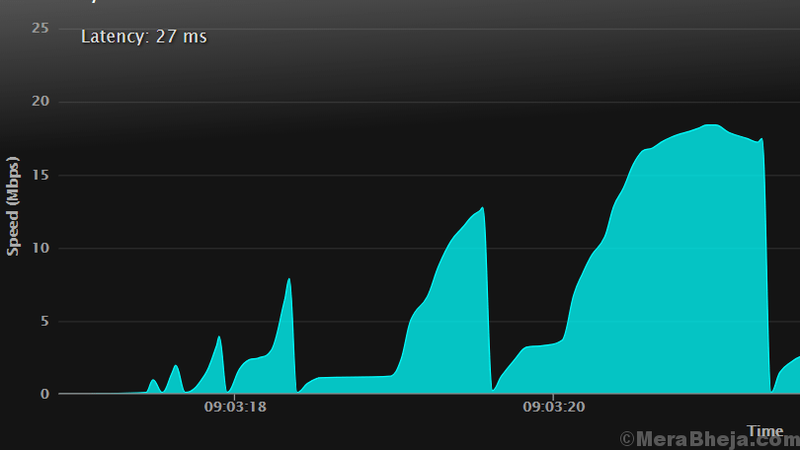 It displays the details regarding latency, download and upload speed, IP-Address and the provider. While it can be used for home or business, it also detects and displays the other wireless hotspots in the proximity. The search ends here for people looking for a fast and reliable internet speed test tool with TestMy.Net. This versatile tool populates accurate results and is compatible with a wide range of tools. It allows you to check the download bandwidth speed of your data connection with complete accuracy, using large tests, random data, and no 3rd party applications. 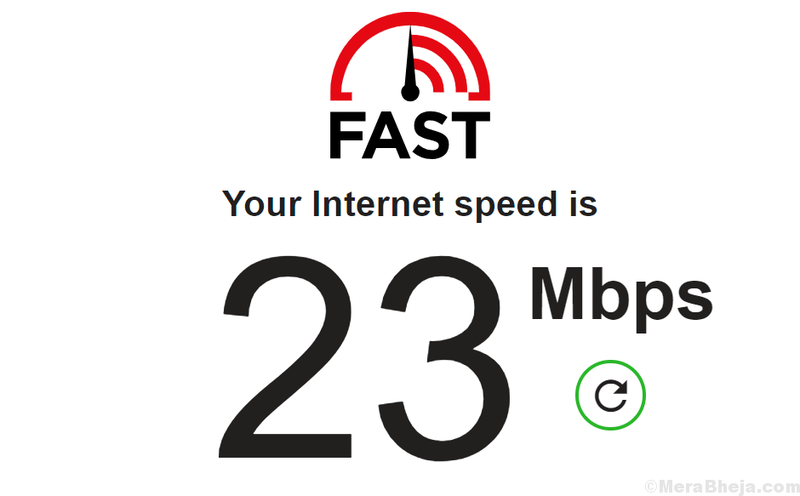 You can also check the upload speed of your data connection with the same browser type that sites like YouTube uses. Best of all, it comes with an automatic speed test that makes it easy to ensure that the network provider is actually delivering as promised. Those looking for a powerful internet connection speed test tool for their mobile phones, nPerf is a great choice. It can check the quality of your mobile phone connection to the fullest and upto 1GB/s speeds. It runs a complete QoS test that checks your bitrate speed, latency, browsing speed and the quality of video streaming on your handheld device in matter of seconds. It comes with an interactive map that analyses the network reach and holds performance test of the coverage in your present area. That’s not all, as it also keeps you updated on the internet speed in real-time on your mobile phone display using the network monitor. Best of all, you can perform each test (speed test, browsing test, and video streaming test) individually, using the sliding menu. Internet Health Test is an easy to use online tool to test the internet bandwidth on your device. 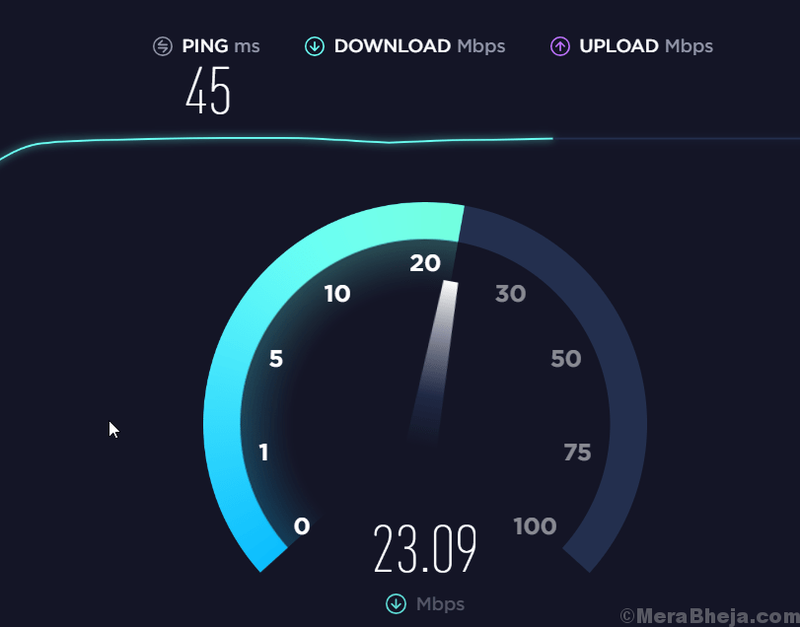 It runs speed test from your ISP, for several different interconnection points that helps check the falling performance. This measurement is run using M-Lab infrastructure and code. Once you press the “start test” button, the toll runs a range of separate tests in five different steps. The test detects any disturbances in the connection between the ISP and the other network where your ISP links with. What’s significant about this tool is that it runs the test against measurement points situated inside your ISP’s network, or to restricted set of measurement points. This is what sets it apart from the other online tools. DSLReports does exactly the same what other internet speed test tools do, that is, check the maximum upload and download speed gathered from different geographically dispersed locations. It offers speed test in Java and Flash formats, and also for iPhones. Other tests run by this tool are mobile browser and latency, and Java download/upload speed test. Xfinity Speed Test is a browser-based internet speed test tool like many others. It comes with a simple interface that lest you test your internet speed easily. All you need to do is to press the “start test” and it displays the analytics such as, download and upload speed, and the latency, protocol, and the location. It also allows you to share the test results by simply copying the url generated for your report. Network Speed Test is one such internet speed test tool that offers detailed information related to the upload and download speeds of your data connection. What’s more? The tool also keeps a saved copy for the history of the internet connections that you have run in the past. This helps you with easy comparison in future. Verizon Speed Test is yet another internet speed test tool that’s browser based. It’s just as simple as many other tools where all you need to do is to click on the “get started” button, and the tool populates the results (upload/down speed, and latency). With a simple and easy to use interface, it makes for an easy and effective way to test your internet speed. 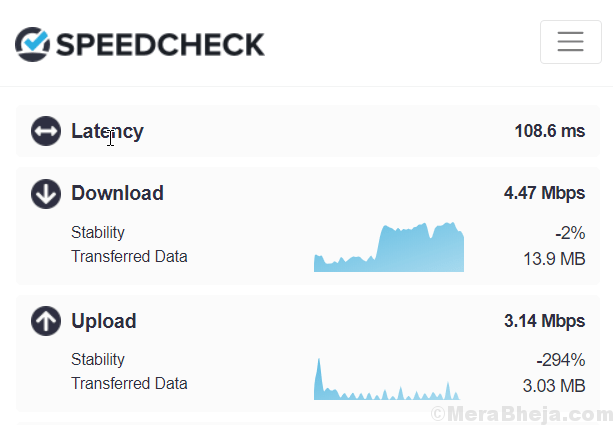 Speed Test Logger is a free and open source tool for Windows that automates internet speed tests and helps in correcting irregular and cracking connection problems. The download speed is tested in a fixed interval, inputs the test outcomes to a text file in CSV format, and populates download speed in form of time graphs. The tool also keeps track of any irregularities whether your PC is online or offline, and any fluctuations in the IP address. In short, it tracks, logs, and measures the speed and dependability of your mobile internet, Wi-Fi, DSL, or cable connections. Now, no more worrying on the speed of your smart device, when you have the Network Analyzer App at your service. Available for iOS devices, especially the iPhone and the iPad that diagnoses your network connection, scans the LAN, and identifies any issues, effectively. From detecting different issues in your Wi-Fi network, or internet connection to analysing different problems on remote servers, it employs a host of tools for this purpose. OpenSpeedTest is an app that tests the Internet speed for any device without any app to be downloaded. This browser-based tool is works on HTML5 with no Flash or Java required. So, from iPad, iPhone, Windows, Mac, Linux, Android, Xbox, or PlayStation, to Smart TV, it can check your broadband speed on virtually any device. Moreover, it can check internet speed accurately on any connection, whether it’s mobile broadband, satellite/dial-up connection, or it’s a fiber, cable, or DSL connection. Meteor is an internet speed testing tool that offers a unique experience with speed testing. It comes with a net looking interface that offers data regarding the well-known apps, and also what’s expected from the speed test. It provides real-world insights for over 20million mobile phone users across the world. Moreover, the speed test helps users get improved signal, detect free Wi-Fi, and find out which is the best network operator in your location. What’s more? It also offers coverage maps for all leading networks across the world for free. Accurately measures the speed of your network on your mobile phone, and also helps view the 2G, 3G, and 4G network availability in your location. Cox Internet Speed Test allows you to check your internet bandwidth speed directly on the first page by clicking on the “start test” button. Further, you can also explore options that you can use to boost the performance of the internet speed. To achieve most accurate results, you must use a PC with a wired connection (Ethernet), switch of Wi-Fi, and shut all other programs on the PC. On signing up with the app, you can easily compare the speed test results with your internet plan. It also allows you to trouble shoot in case if there’s any outages and accordingly reset your modem. Moreover, it gives an insight into your current internet plan, that helps you to upgrade the plan if required, in simply a few clicks. Your Internet speed is most crucial to get best performance out of your PC, and when that starts faltering it can be challenging to work. So, get one of these efficient and reliable internet speed tools today for uninterrupted internet usage.